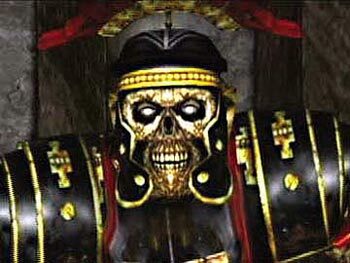 Nintendo still holds the rights to Eternal Darkness but has no announced plans to continue the franchise. While most hopes for an Eternal Darkness sequel have long since been bludgeoned and buried, Nintendo is still giving fans some hope for a sequel. With the game's trademark on the brink of expiration, Nintendo has chosen to renew its ownership of the franchise. While this could just be a case of a publisher maintaining control of a property for the sake of it, Nintendo is nothing if not prone to the unexpected revival of dormant franchises. Even if Nintendo decides to go down the route of resuscitation, it will likely be of little solace to Eternal Darkness' creators, the deeply troubled Silicon Knights. While the developer received praise for its work on Eternal Darkness, the titles that followed were less well received. Too Human was infamously long in development and launched to a chorus of mediocre reviews. X-Men: Destiny, the last game by Silicon Knights to make it to retail, was also resoundingly panned. Silicon Knights has since declared bankruptcy and sat on the losing side of a legal battle with Epic Games, resulting in a court order forcing the studio to destroy its unsold and unfinished games. This presumably included a prototype of Eternal Darkness 2 that Silicon Knights was making at the same time as X-Men: Destiny. Silicon Knights' misfortunes aside, there's nothing stopping Nintendo from, someday, handing Eternal Darkness off to another developer or making a sequel itself. It would be a welcome announcement. Eternal Darkness, in addition to telling a great and genuinely chilling story, also implemented a number of unique and interesting mechanics that have been rarely replicated since its release. The game's sanity meter, wherein characters become less mentally stable the more they come into contact with disturbing things, was particularly clever, often breaking the fourth wall to attack and unsettle the player directly. With many staples of the horror genre stepping away from their roots, a sequel to Eternal Darkness could be just what many gamers are looking for. Whether or not it will ever happen is another question.